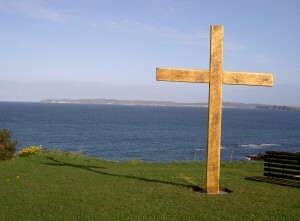 Corrymeela is an inclusive Christian Community founded in 1965 by Reverend Ray Davey, assisted by a group of students from Queen’s University Belfast. The seeds for the Community grew from Ray’s experience as a prisoner of war during World War II. This, coupled with his witnessing of the Allied bombing of Dresden and its consequent loss of life, made an indelible impression on him. 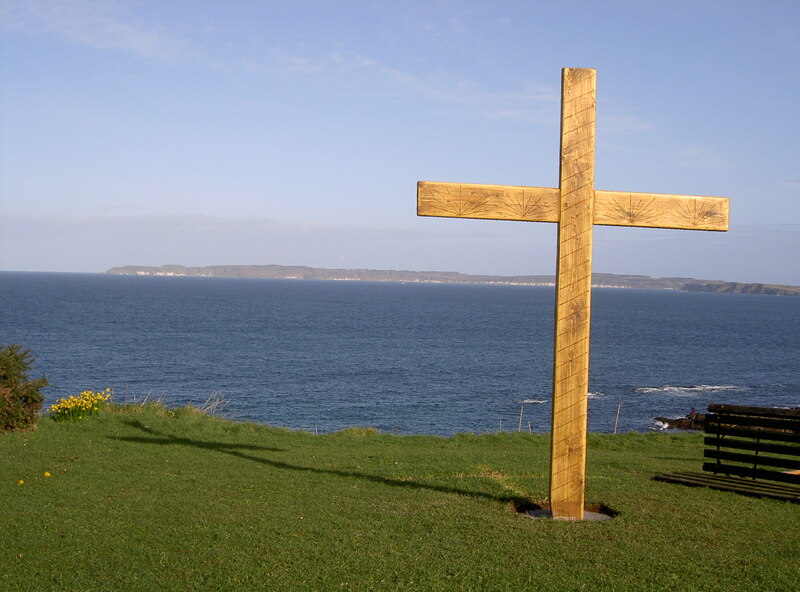 Twenty years after the war Ray established a residential centre in Ballycastle where people of all faiths and backgrounds could come together and learn to live in community. Now, Corrymeela hosts over 10,000 people a year in programmes of dialogue, learning, faith and encounter. 2015 is Corrymeela’s 50th year and we are honoured to host the 60th OIKOSNET Conference here in Northern Ireland. We would be delighted to welcome you. Please put the 9th – 13th of September 2015 in your diary. We look forward to the learning, the challenges and the fellowship. See you next year. This entry was posted in News from Oikosnet, Uncategorised on 17th December 2014 by Sigtunastiftelsen. At its meeting in Corrymeela (November 2014) the Board was for the first time challenged to deal with an application for supporting a project under the newly established “Criteria for Supporting Projects of Oikosnet Members by Oikosnet Europe”, which were adopted at the Annual Conference in Villigst. EPIL, the European Project for Interreligious Learning, in which two Oikosnet members are involved and for which one member launched the application, asked for financial support for a training course in Turkey in 2016. The Board took ample time to review the application under each of the criteria in Villigst and finally decided to go back with a number of questions to the applicant before finally deciding. This was possible and reasonable as the project is meant to be implemented only in the second but next year. In as much as the process was about screening a project, it was also a learning experience for the Board itself as to how to handle applications for financial support. The challenge is, on the one hand, to apply the criteria which Oikosnet Europe set itself and, on the other hand, to make the application process not too formal and too demanding. The next Board meeting will take place on 28/29 March 2015, where project applications will be reviewed again. Applications should reach the Executive Secretary (noll@evangelische-akademien.de) well in advance, latest by 20 March 2015. This entry was posted in News from Oikosnet on 15th December 2014 by Sigtunastiftelsen. About 40 people from various arab and european countries as well as several guests and speakers participated in the 4th consultation of the Citizens´ Dialogue, which took place in Brussels 16 to 20 November 2014. As the 3rd dialogue meeting in Cairo earlier this year heavily criticized the “More for More, Less for Less” – Policy (meaning: more aid and support in return for more democracy, the implementation of human rights and the rule of law in Arab countries as well as of other “European” values) of the European Union, the 4th dialogue meeting was deliberately hosted in Brussels in order to discuss with representatives of the European Union Institutions and with Brussels-based NGOs. Elmar Brok, Chairperson of the European Parliament´s External Relations Committee, defended the More for More and Less for Less Policy, which led to a discussion about the contextualization of commonly held values and a patronizing attitude of the European Institutions. The Dialogue Meeting also met with officials from the EU Directorate for Foreign Aid (Neighbourhood Policy) and NGOs which are engaged in contributing to a European foreign and development policy. “This meeting came at the rights time,” officials said, “as the EU is in the process of re-defining its neighbourhood policy.” Participants were encouraged to make their voice heard in this process. Altogether, however, the European Institutions showed themselves much less receptive to the invitation of the citizens´ dialogue than hoped. That might also be due to the fact that the new European Commission took office just prior to the dialogue meeting and many civil servants found themselves in the process of changing offices and responsibilities. The more time Arab and European participants had to discuss among themselves. Quite some “elephants in the room”, big issues which require further investment and mutual understanding were identified. These issues include: How to deal with the Israel-Palestine conflict? How to deal with radical (terrorist) groups that use violence in the name of religion? How to define European support for the Arab region versus intervention? How to dialogue on an equal footing? At the edge of the meeting, the organisers also caucused about the future organization of the Dialogue. Three European Academies (members of Oikosnet) together with the Oikosnet Executive Secretary are testing the possibility of taking the lead in the process from the European side. Equally, CEOSS, the anchor organization from the Arab side is exploring a broader leadership from their side. The next step will be a joint workshop with all potential anchor organisations in spring 2015, in which further steps in the process will be planned. Walter Lussi leaves as our treasurer! The treasurer has gone – long live the treasurer. That is how it goes and should go. So since Walter Lussi has left the Board in September, we have had elections and we elected Kostas Zorpas from the Orthodox Academy of Crete. The work continues and that is good! At the Annual Conference it was impossible to have a farewell moment with Walter since he was too much in the ‘recovery-mode’ after a heavy car accident in August. So Walter participated also in a part of the Board meeting in Corrymeela at the end of November. There we had the opportunity to meet him again and to thank him for the work he has done for us. That was a lot! He entered the Board in 2010. From that year on, it became more and more clear that a restructuring of the work was required, especially for financial reasons. 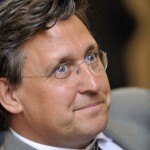 In April 2012 the decision was taken that we had to end the labour contract with our former General Secretary, Wolfgang Lenz. After that the restructuring continued. We had to develop new ways to work as an association. As we did and do. All these years Walter has been a rather quiet and very dedicated treasurer. And more: a person you could fully rely on when things got hot. When there was a need to be present and clear, he was present and clear. And beyond these moments he was and is a pleasant person, not heavily looking for serious matters of life but always looking for a fruitful combination of dedication and joy. Be it in language, be it in going for a coffee or another drink – I felt it a pleasure and a blessing to work with such a person in the Board. The deep understanding of being dependant on others in many aspects of our work is a characteristic which is nurtured by Walter. It attracts people to his style and attitude. 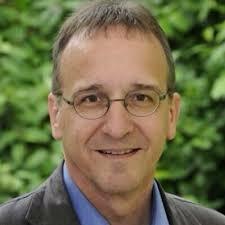 That is what is also required in his new job, which formally starts in January next year but already has started for more than 90%: ‘Kirchenratsschreiber’ of the Reformed Church of Zurich, in English something like a chancellor. In a company it would be the CEO. This is challenging, also since budget cuts are on the agenda. It seems to a certain extend that Walter goes where the challenges are. From our side we said ‘thank you and farewell’ to Walter in Corrymeela. He has done a lot for us with a high quality in a difficult situation. And we hope to meet him on some occasions in the future, for instance at an Annual Conference. And even when that will not happen, we will not forget him! Tensions between people, within groups and organisations – they are a normal part of life. Most of the time we deal with them rather well on a day to day basis. Sometimes however, things get more complicated. What to do? What to avoid? How to make tensions and conflicts effective. This type of challenges are a perfect reason to participate in the upcoming DPC-training, just before the next Annual Conference starts. Going there becomes even more attractive and effective. Dialogue for Peaceful Change (DPC): it was on the agenda of Oikosnet Europe for years. We talked about it. Now there is a good opportunity to follow the five-day training yourself. In No. Ireland, where roots of the training can be found. Arrival day Friday 4 September, training from Saturday 5 – Wednesday 9 September, 16.30 hrs, just before the Annual Conference starts. More information will follow. Time for a change. Words which we here more than once. Obama used a couple of years ago “ Yes, we can.” He indicated changes to come. Reality made it more difficult than expected and at least hoped for. Words in itself usually don’t work unless we do anything. Yet it remains time for a change. Within Oikosnet Europe we have worked on it quite hard this year. New relations have been developed with special attention to our members in Central and Eastern Europe. Although not neglecting other parts, our members in this part of the continent face challenging times, where geo-politics influence their work heavily. What will be their future? What are the effects of the cold period in politics as they appear now? Uncertainty about politics also influence the lives of ur friends in the Middle East. Quite some of them suffer from the paralysed situation between super powers, influenced by raw materials, oil and markets. It is told: statistics show that there are less wars in the last 50 years than ever before. Statistics regarding Millennium Development Goals show that quite some diseases have been reduced in their outreach. Yet, Ebola changes the picture dramatically in some countries in Africa in a negative sense. And yet, also here statistics are produced after the facts, after things have happened. That’s why it remains so important to be pro-active, to read the signs of the time, to invite people with opposing views, to discuss issues where people disagree or still do not know. It is clear that our members don’t bring heaven on earth. We are too much down to earth ourselves to get that aim realised. It is however also clear that we can contribute to processes in society which contribute to that aim. That is what we remember when living in the time of Advent since we are taught about the long term perspectives of justice and peace. That is what we look forward to in the next year! And we are longing for it, also in our day to day work. Have a bless Christmas time and a Happy New Year. The board of Oikosnet held its 3rd meeting of this year in Corrymeela Northern Ireland. Corrymeela is a Christian community, situated about 100km north of Belfast at the east coast of Northern Ireland whose objective is the promotion of reconciliation and peace-building through the healing of social, religious, and political divisions in Northern Ireland. It was founded in 1965 by Reverend Ray Davey and it will host our annual conference next year. The board members present in Corrymeela were Jaap van der Sar (president), Katalin Zoltani (vice-president), Marieliesa von Thadden and Sören Lenz and our new Executive Secretary Rüdiger Noll. Konstantinos Zorbas our new treasurer wasn’t able to come due to other obligations.Fortunately Hermann Düringer assisted us as a voluntary secretary to help us with the administrative work. After the very encouraging annual meeting in Villigst, due to an excellent organization and very stimulating speakers we discussed how we could still improve our communication between us and the centers and how we could present our Annual Report in a more “exciting” way? The first year after the departure of showed us how much depends on a good coordination and one person who keeps the oversight of what’s going on in our centers. The board is really happy that Rüdiger Noll will continue keeping together the information which is necessary when we want to become our network more efficient in many ways. “We don’t tell stories as they are, we tell them as we are” explained us the new community leader Pádraig Ó Tuama and he presented us some ideas in order to prepare of the next Annual Conference. Remembering, peace building and political learning will be the key words for the meeting of Oikosnet members in September 2015 in Corrymeela. In this context we hope to inject a new dynamic in the gender and justice network in need of new ideas and ne forms. One of the ideas discussed was the creating of a more “down to earth” preconference which could tie up with our former tradition of visiting communities followed by a more academic main conference in the hosting centre. We met as well the new Executive director Colin Craig who explained us the challenges for Corrymeela in their present work. He told us that Corrymeela Community will be very glad to welcome us and to share with Oikosnet their festivities in occasion of its 50 years anniversary. At the present Oikosnet has 47 members which are more or less active. At the Villigst meeting a lot of “sleeping” members were present so the board is very hopeful that the reconstruction of the “New Oikosnet” will create a new dynamic and bring back some members which often don’t know the existence of our network. One important issue s on our agenda was the creation of our main office in Sigtuna (Sweden) which was decided at the General Assembly in Villigst. In a practical way Sigtuna has already taken over a part of our communication work by editing the newsletter. 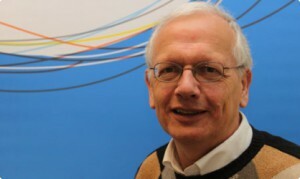 Alf Linderman, executive general director of Sigtuna and Rüdiger Noll will work closely together in this time of transition. The question was raised whether a changing of the actual form of our organization (association registered in Germany under German law) could be more appropriate or even necessary with our secretariat in Sweden. The board will sound out legal possibilities and practical consequences of this question. When we are look at the present situation with the Ukraine conflict and the problems in Eastern Europe it is very important to strengthen the links to our East European partners. The idea of a peaceful Europe is not only threatened by all form of extremism and nationalism but as well by a growing indifference in the population in behalf of Europe. 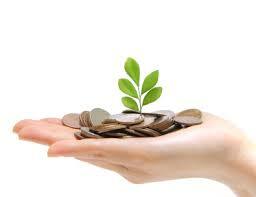 Therefore the board is willing to strengthen our east European members by funding a regional conference. Katalin will make the first steps to bring them together under the aspects what they expect from Oikosnet and in which form our East European members would like to contribute for the development of our network. We all were very taken by the very warm welcome and the perfect organization we met in Corrymeela. We were glad to welcome for one day Walter Lüssi, our treasurer, who handed us over the financial report. 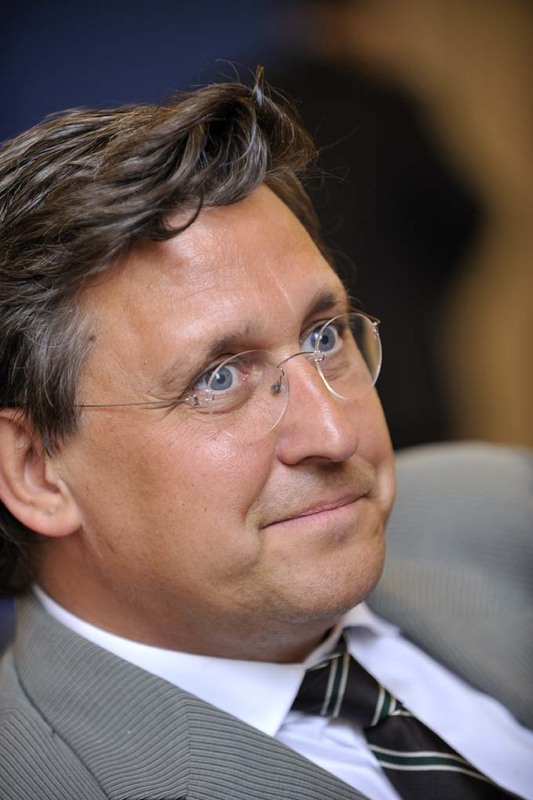 We’ll miss him for his perfect way to handle difficult financial tasks without great speeches and with his unbeatable Suisse humor. Special thanks go to Shona Bell who made us feel at home during these three days. We’re all looking forward to our annual conference from the 9th to 13th of September 2015 in Corrymeela. 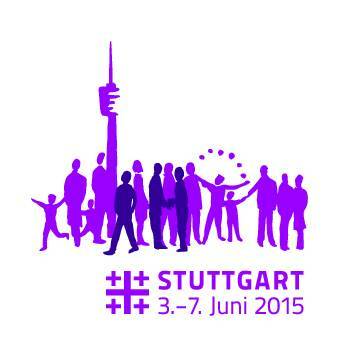 The next Kirchentag will take place in Stuttgart – from 3 to 7 June 2015. Its theme comes from psalm 90, “that we may become wise”. More than 100,000 people are expected to attend Kirchentag in Stuttgart and almost half of them will be actively involved in contributing to the programme. Volunteers are essential to the success of Kirchentag. Tens of thousands of active participants are the face of Kirchentag, working together to create a joyous and unique experience. The versatile mixture of events expresses the concerns, interests and ambitions of people around the world. We decided at the Annual Assembly in Liebfrauenberg last year to be present next year and share a booth with the Protestant Academy of Baden and the Protestant Academy of Bad Boll. We will take the opportunity to inform there about our centers and their possibilities and are looking for all our members who will be at the Kirchentag. We are looking for volunteers who are willing to work for a shift or two (2 to 3 hours) during these days. Their business would be to speak with visitors and inform them about our work and members. At the same time it will be a meeting place for all of us! The Market of Opportunities offers initiatives, groups or organizations the chance to creatively present their work. Next year around 800 groups or organizations will be there and they came from all over the world. If a group is in pursuit of a certain objective, wishes to implement a specific project or has ideas regarding new ways for our churches or societies then the Market of Opportunities is the perfect location to present there. Here one will have the opportunity to share a project, objectives and ideas at the same time as connecting with others. The Market of Opportunities is one of Germany´s largest events for communication between civil societal groups and initiatives. No matter whether you are of religious or sociopolitical background, active as a volunteer or employee, all are invited to present and discuss at the Market of Opportunities. At the Market of Opportunities all are welcome to openly present their views and perspectives, without fear of criticism or dispute. We hope to see you in Stuttgart next year.